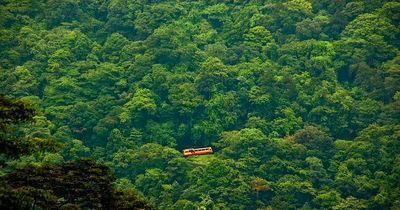 Regarding geographical location, Wayanad district stands on the southern top of the Deccan plateau and its chief glory is the majestic Western Ghats with lofty ridges and rugged terrain interspersed with dense forest, tangled jungles and deep valleys. The place also enjoys a strategic location as the leading tourist centres of South India like Ooty, Mysore, Bangalore, Coorg and Kannur are situated around this region. Covering an area of 2132 km ², with a density of population at 369 people/km² within a population of 780,619 people (2001 census), Wayanad consists of 3 taluks - Mananthavady, Sulthan Bathery and Vythiri. The district headquarters is located at Kalpetta municipality with a population of 29,602 as per 2001 census. 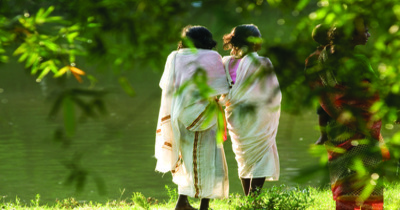 Wayanad enjoys a salubrious climate throughout the year. The mean average rain fall in this district is 2322 m.m. Lakkidi, Vythiri and Meppadi are the high rainfall areas in Wayanad. Annual rain fall in these high rain fall areas ranges from 3,000 to 4,000m.m. High velocity winds are common during the south west monsoon and dry winds blow in March-April. High altitude regions experience severe cold. At Ambalavayal in Wayanad, the mean maximum and minimum temperature for the last five years were 29oC and 18oC respectively. This place experiences a high relative humidity which goes even up to 95 percent during the south west monsoon period. Generally, the year is classifed into four seasons, namely, cold weather (December-February), hot weather (March-May), south west monsoon (June-September) and north east monsoon(October-November). The dale Lakkidi, nestled among the hills of Vythiri taluk, has the highest average rainfall in Kerala. It was at Mananthavady (35km N) that Lord Arthur Wellesley fought a guerilla war with the Pazhassi Raja and British supremacy marked the region for two centuries. When the state of Kerala was created in 1956; the southern region of Wayanad which was part of Cannannoor district was attached to Calicut district. In 1980 the Wayanad region was amalgamated out of the districts of Kannur and Kozhikode and comprised the three taluks of Mananthavady, Sultan Bathery and Vythiry. Kalpetta, the region's district headquarters (15 km N), used to be a major Jain centre. Lakkidi, its gateway town, is popular for its plantation homestays. Tipu Sultan, the legendary ruler of Mysore who valiantly opposed the British, built a fort at Sultan Bathery 10 km away, in the 18th century. 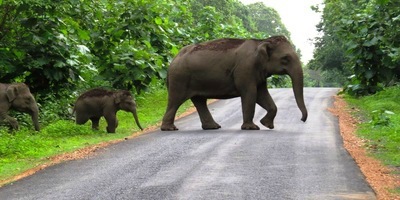 Established in 1973, the Wayanad Wildlife Sanctuary is contiguous to the protected area network of Nagarhole and Bandipur of Karnataka on the north-east and Mudimalai of Tamil Nadu on the south-east. Rich in bio-diversity, the sanctuary is an integral part of the Nilgiri Biosphere Reserve, Which has been established with the specific objective of conservating the biological heritage of the region. Consisting entirely of notified reserve, the sanctuary is very rich in fauna and flora. The management of the sanctuary lays emphasis on scientific conservation with due consideration to the general lifestyle of the tribals and others who live on the fringes of the forest. Wayanad Wildlife Sanctuary, Chethalayam Waterfall, Sri Mahaganapathy Temple at Thiruvangoor, Pazhassi Raja Museum, Pookote Lake and Edakkal Caves are the prime tourist attractions of Wayanad. 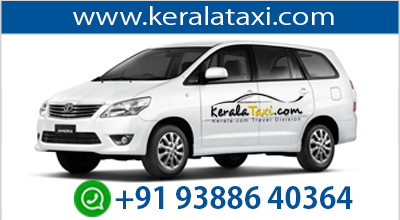 Beisdes, Muthanga Wildlife Sanctuary, Tholpetty, Karappuzha Dam, Jain Temple at Sultan Bathery, Tiger Valley, Meenmutty Falls, Soochippara Waterfalls, Chembra Hills, Bird Sanctuary in north Wayanad, Thirunelly Temple and Kuruva Islands are the other nearby tourist destinations in and around Wayanad. Wayanad is unique in that it is situated in an elevated picturesque mountainous plateau in the Western Ghats. The vast stretches of mist - capped mountains, green meadows of valleys, white water springs, blue water lakes and wild forests express the splendid natural beauty of Wayanad. Its pretty image not withstanding, perhaps what the visitor finds most endearing about this quaint little hill station is its large tribal population of about fifty-strong tribes and their fascinating lifestyle. Travellers can stay at the tree top houses and mud huts and enjoy the thrills of jungle life.